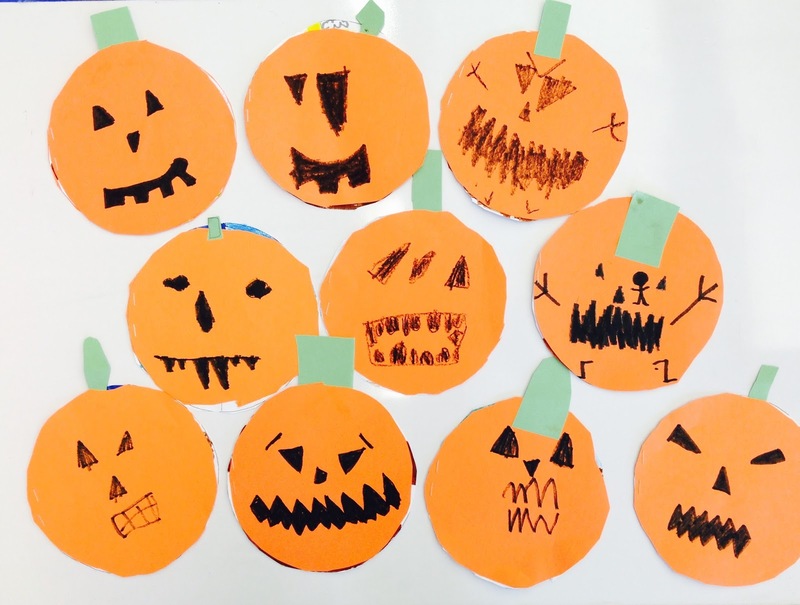 This week we're learning about pumpkins. First we read a book about pumpkins and then we watched a video (it's a super cute video with accurate info and a song. My kids loved it!) 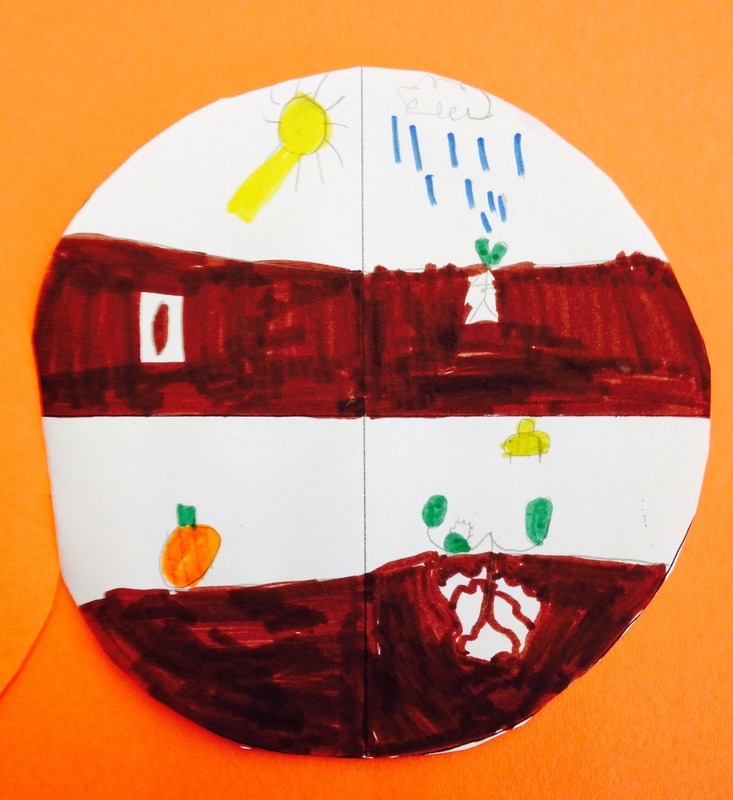 We also pretended we were pumpkin seeds growing into pumpkins, which was silly but memorable. 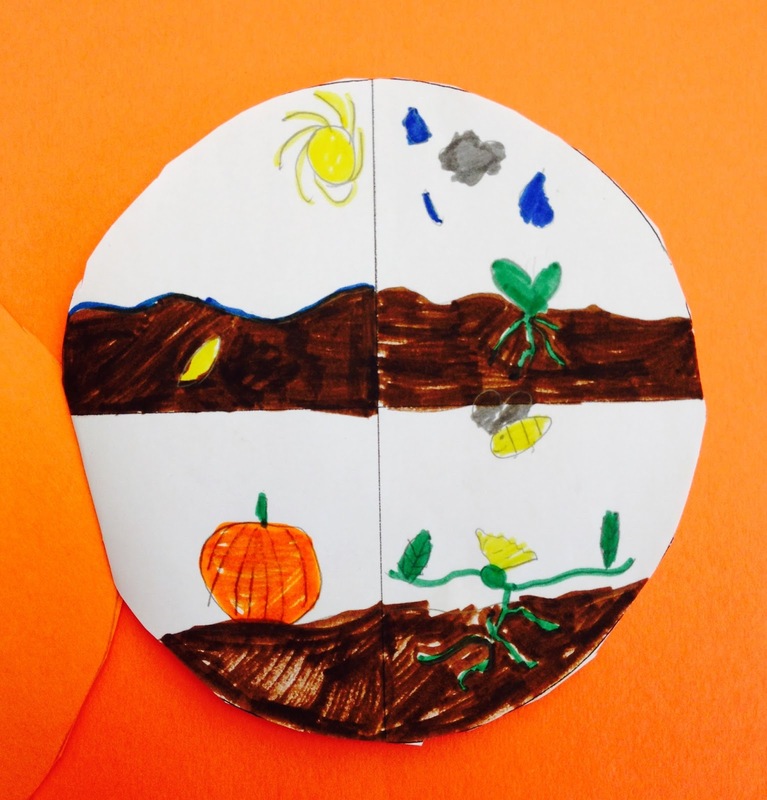 Afterwards, the kids made pumpkin life cycle booklets. 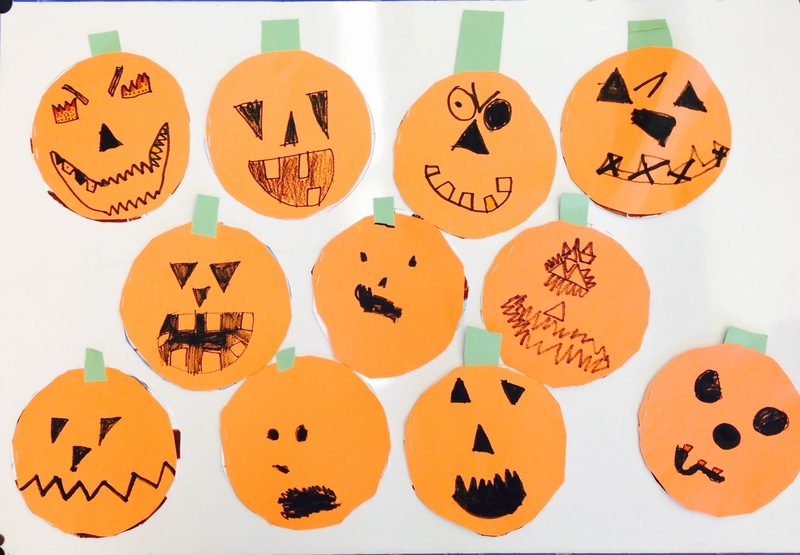 All I had them do was trace a circle onto construction paper, cut out, decorate, then add a green stem. And here are some middles. This was easy, too. 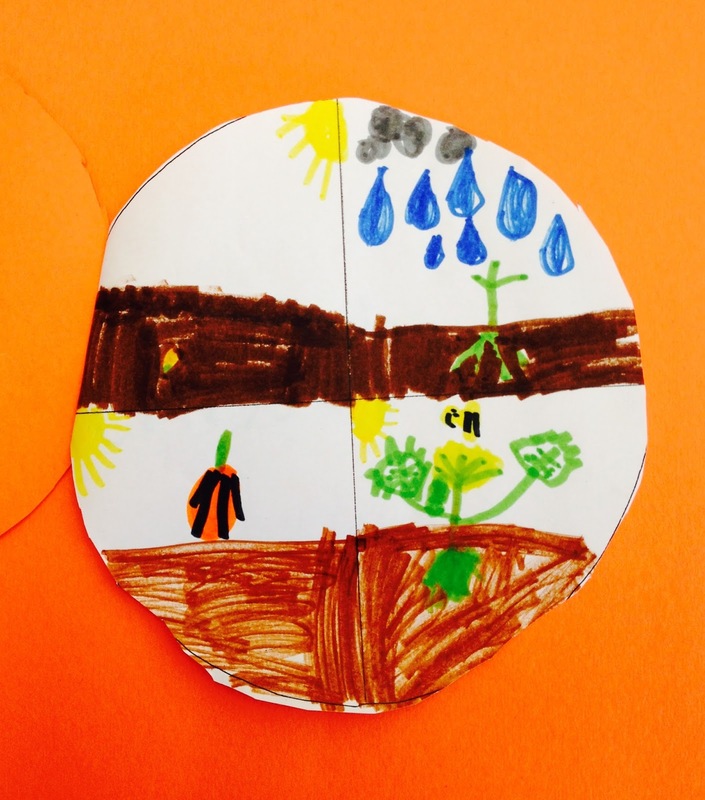 I gave them a piece of paper with a circle sectioned into quarters. 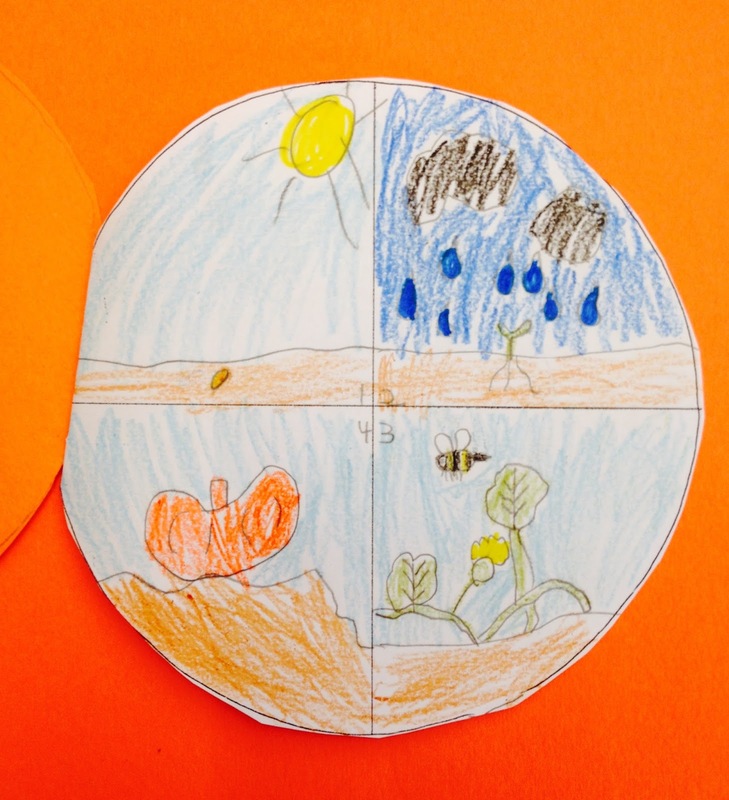 I drew the life cycle on the white board (with the class's help) and then they did the same on their own sheets. 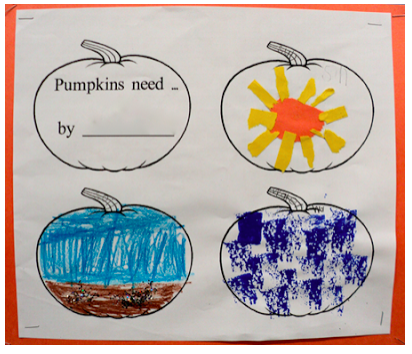 If you're looking for a "Pumpkins need..." sheet, just click the image below to see what I did last year. 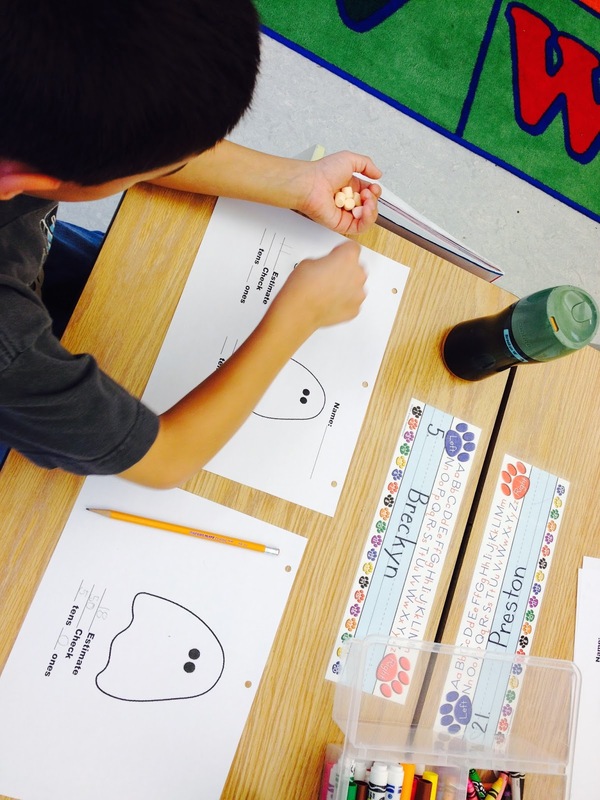 During math we estimated how many marshmallows would fit onto 3 different sized ghosts. Then we counted to check our estimate and wrote the number in tens and ones. It was hard work but lots of fun! A BIG thanks to Jill from Mrs. T's First Grade. If you click HERE you can grab the sheet. 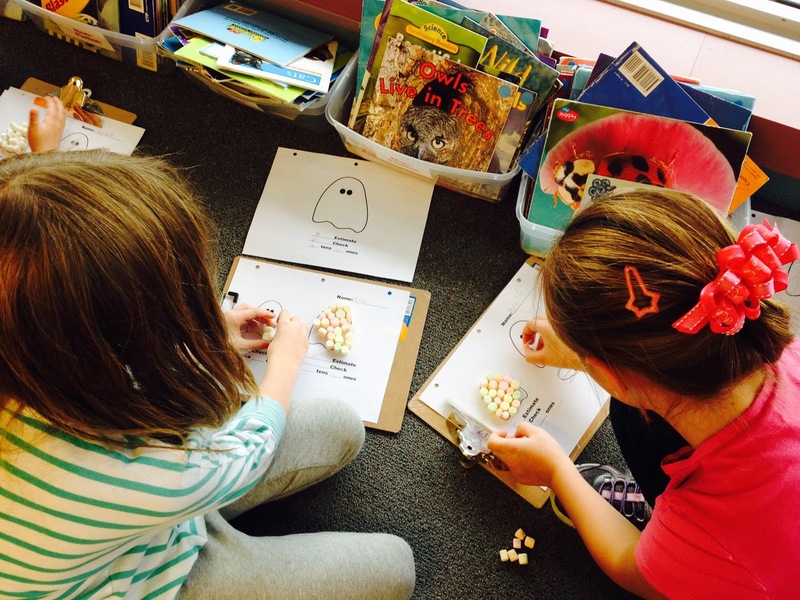 We did the marshmallow ghost activity too. 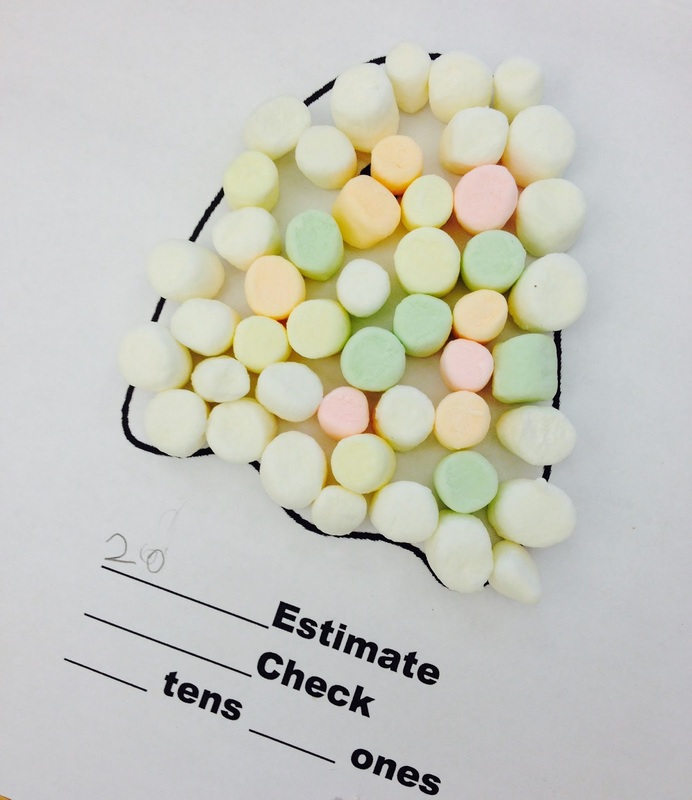 I added a sheet of ten frames to it so kids could move the marshmallows into the frames after filling up the ghosts to see how many tens and ones they had. I'm going to remember that for next year, Tammy! A few of my little guys could have used that extra support.